Home > writing life and career > Debut year reflections, tips for new authors, and a giveaway! Debut year reflections, tips for new authors, and a giveaway! 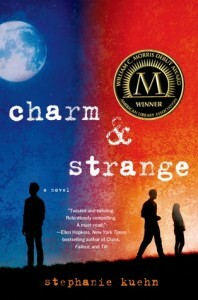 Today is the day the paperback version of my debut novel, Charm & Strange, is officially released into the world, Tomorrow is also the first anniversary of the book’s hardcover publication. I knew I wanted to celebrate both of these milestones with a giveaway (see below), but I also wanted to reflect on what I’ve learned this past year and offer whatever advice I could to authors who are preparing for their own debut year. I know that it’s a scary time and also an exciting one. Rather than prescriptive advice, however, what I’ve come up with is a list of questions that I think are worth reflecting upon before your book comes out. Everyone’s experience will be different, of course, but I believe there's value in being proactive about things like personal boundaries, support systems, and self-care planning, to the extent that you can. I also think caring for yourself can be the easiest thing to forget about in the rush of publication and the desire to make other people happy. Some of the things listed in this post are ones I was prepared for. Others, not as much, but I've learned a great deal about myself throughout the process. This year has been charming and strange and everything in between. Anyway, I hope this is helpful, and please be sure to enter the giveaway below for a chance to win an annotated copy of Charm & Strange. (1) What does being an author mean to you? More than likely, the biggest thing that will happen on launch day is that you will become a published author. That's kind of it, honestly. This long-awaited day is more about an emotional transition than anything else, but it's a transition that will affect your sense of identity. It's worth considering what "being an author" means to you. Is there status that you apply to this term? A sense of pride or accomplishment? Do you view yourself differently? Do you think others might view you this way, too? What will that be like? How might things change? How might they not? (2) How do you cope with uncertainty and disappointment? There’s probably a lot of both that will come in your debut year, so it’s worth knowing what your coping mechanisms are. There’s no right or wrong, but understanding who you are can help you make decisions with some intentionality rather than in a reactive or impulsive way. Do you like to vent with friends or does that put you in a more negative place? Do you hold things inside and hope for the best at times when asking for information or clarification might be more prudent? As a side note, if for any reason you find that you are really struggling with the publication journey, please reach out and talk to someone or ask for help. It's hard to get perspective from the inside sometimes, but feeling really depressed or anxious isn't something you should have to deal with alone. (3) How do you cope with positive attention? Whether good or bad, stress is stress, and coping with it takes emotional resources. If you’re already run down or run ragged, even good news or fun events can feel overwhelming. My best suggestion is to figure out what self-care habits work well for you and stick with them throughout your publishing journey. (4) How will you handle questions about writing and publishing? It seems to come up a lot that authors get asked questions related to finances, sales, or how they can help someone else get published. Some of these questions can cross boundaries and feel invasive or overly personal. Regardless of whether or not these questions bother you, you will get asked them, so come up with your answers ahead of time. (5) What do you need from your family and friends? If there is one thing to get out of this list of questions, this is the area that I think is the most important to spend time on. Be honest and think about what you expect from the people in your life in terms of support. Do you want emotional support: for them to express joy and happiness for your success? Do you want physical and financial support: to have them show up for events and buy your books? Do you want them to support you emotionally, physically, financially, and also love your books unconditionally? You might need to tell them this. What would it mean for you to not receive this type of support? How will you handle it? How will you communicate your needs? (6) What is your book about? No, really…what is it about? This was hard for me. Early on, I had some writer friends who emphasized the importance of having a one-sentence pitch for my book because they knew people would ask me what it was about. That bears repeating: people will ask you what your book is about. A lot. So you need to have an answer. I empathize that it’s not always easy to answer this question. I really struggled with it, in part because I’m shy and get anxious when I talk about myself, but also because my book is really hard to talk about. But at the encouragement of my friends, I finally sat down and wrote a one-sentence description that I still use today. It’s not perfect, but it works. (7) What about reading reviews/googling yourself/checking your Amazon rankings? I’m not going to tell you what to do with regard to reviews and such, but I will say this: Having your self-esteem depend on things over which you have no agency is a sure-fire path to frustration, bitterness, and cynicism. So be thoughtful about your choices, and be kind to yourself. It’s okay to ask a loved one to share only positive reviews with you. It’s okay to ask your agent if you’re concerned or confused about anything. It's okay to want to read your reviews and then change your mind. There is no virtue in doing things that consistently make you unhappy. (8) How will you control your public and private lives? Most of us are on social media, but things change when your book comes out. It becomes a professional space, however you choose to define that. Again, there’s no correct answer to any of this, but it’s worth being thoughtful about how you want to use social media and what you feel comfortable sharing. Do you want to talk about your family and where you live? 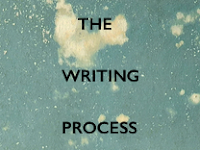 Do you want to talk about your writing process? About politics or social issues? About your latest one-star review on Goodreads? I don’t know, but better to think about it now rather than regret something you say later. (9) How do you feel about public speaking? Writing and public speaking do not have much in common. However, there are many events that authors can be a part of—book signings, festivals, conferences, school and library visits, etc—that require you to be in front of an audience. After a terrible experience in 11th grade when I swore I’d never get on a stage again (auditions for Carousel, let's say no more! ), I long loathed and avoided public speaking at all costs. However, in my early thirties, I changed careers and had to learn how to do presentations in front of big groups of people. The more you do it, the less anxiety provoking it is. So if it’s a big fear of yours and you want to participate in public events, work on it ahead of time. You will get better. 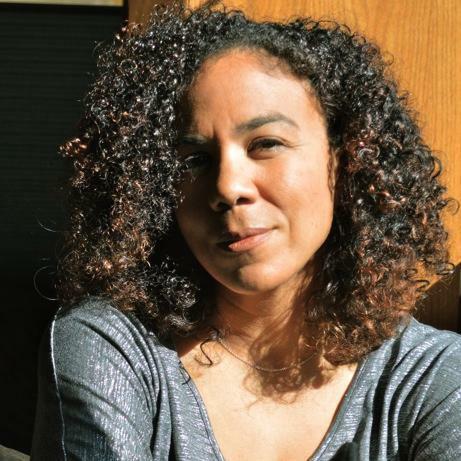 (10) You’re part of the YA community. What does that mean? Publishing a YA novel means you’re joining a bigger conversation about YA literature whether you intend to or not. Your work has context. That’s a cool thing. A little scary, but definitely cool. However, if you’re so inclined, there are other ways to be engaged in that community, both online and off, and it's a community that includes authors, readers, bloggers, publishers, agents, editors, librarians, teachers, booksellers, etc—all wonderful and passionate book-loving people. But engagement is a choice. If you find that being bombarded with everything YA and publishing is stressful or unhappymaking, there is nothing wrong with tuning out. There are also other things to think about if you choose to join an online community or a debut group. The support is amazing, but it’s worth putting thought into your involvement ahead of time in order to alleviate angst down the road. Consider how you want to support other authors and how you would like to be supported. What expectations do you have? Are you going to honestly rate/review other people’s books on Goodreads? Amazon? Are you only going to support books you love? What about books written by your friends that you don’t love? There’s no right or wrong to navigating any of this, but as in all places where friendship and business mix, the potential is there for hurt feelings and resentment. Sometimes it’s better to keep the two separate. (11) How will you define success? Everywhere you turn, there are people who will want to define success for you. Through sales. Or reviews. Or awards. Or whether your book gets turned into a movie. But you have little to no control over any of these things and it’s silly to attribute personal success or failure over something over which you have no say. What do you have control over? Your words. The values you live by. The relationships you have with your readers and peers and loved ones. The next book you write. So go on, celebrate what you’re proud of, grieve your failings, and always, always, keep moving forward. Good or bad, it’s all any of us can do. "How do you cope with uncertainty and disappointment?" <---- This seems to be a biggie for many of us. I hope your disappointment was outweighed by the triumphs -- doesn't always happen. Congrats! This is wonderful! In the midst of my debut year I mulled over a lot of similar things. Ended up writing a Writing Manifesto about the ways I wanted to conduct my public, private, and writing life. It was such a helpful thing. I absolutely loved Cruel Beauty by Rosamond Hodge. Such a great debut! I'm so not in a position to give tips just yet, so I'll stick with sharing a 2014 debut I've loved - POINTE by Brandy Colbert! Wonderful post! Even though I wish I'd had this list of questions four months ago when my debut released, I am finding it really helpful today and so I thank you! I loved Nearly Gone by Elle Cosimano. This is so thoughtful and true, Steph. (And timely, for me!) Thank you so much for sharing! I'd suggest making a marketing schedule to promote your book. Great questions for thought and discussion. Even as a non-published writer, I have found myself having to deal with many of these issues. A recent debut that I loved: POINTE by Brandy Colbert. Thanks for this great post. It helps! I was so happy to see Donna of the Dead make it to the wider world--I was a beta reader for Alison Kemper on her book, and it's so much fun (with zombies)! Regarding reviews: it helps to remember that a review speaks more about the reviewer than the author/book. Everyone's taste is different. POINTE was fabulous. Thanks for a great post! I really enjoyed To All the Boys I Loved Before by Jenny Han :) Good advice/reflections and thanks for the giveway!